Technical difficulties of all kinds have prevented me from doing much blogging lately but my clever husband came home last night and fixed things for me while I was at work and I woke up with everything ready for me to blog. Thank you, sweetie!! This spring, on a beautiful sunny morning I found this wonderful little booklet at a garage sale that I previously blogged about. It's from the same house that I bought my 1950s china cabinet from! 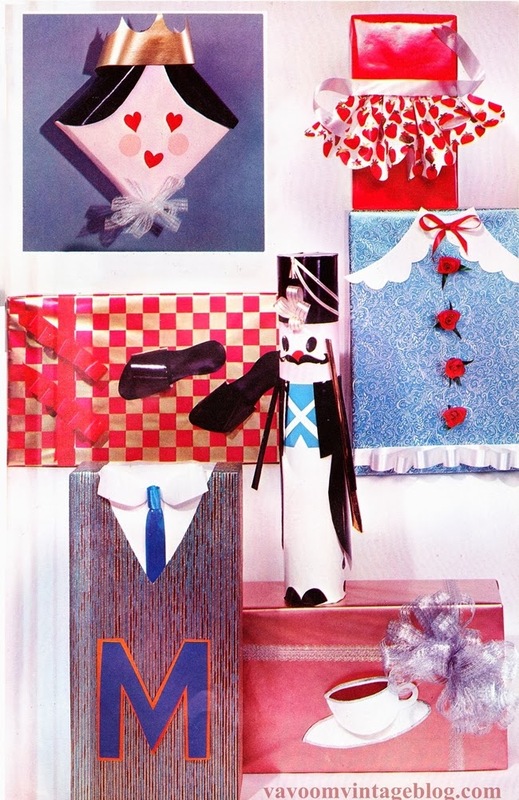 This book gives lots of tutorials and instructions for making vintage ribbon bows and exciting ways to wrap gifts from 1958. 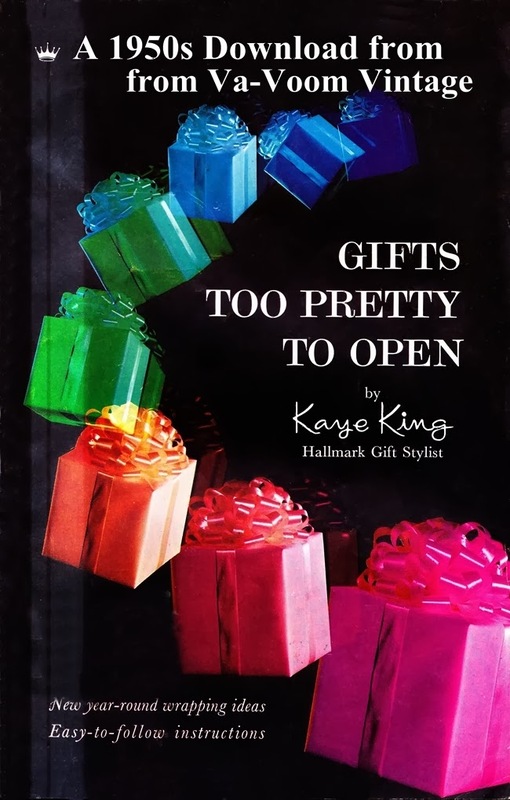 Most of these elaborate how-tos are for Christmas but there are also some birthday and other holiday gift wrapping ideas. 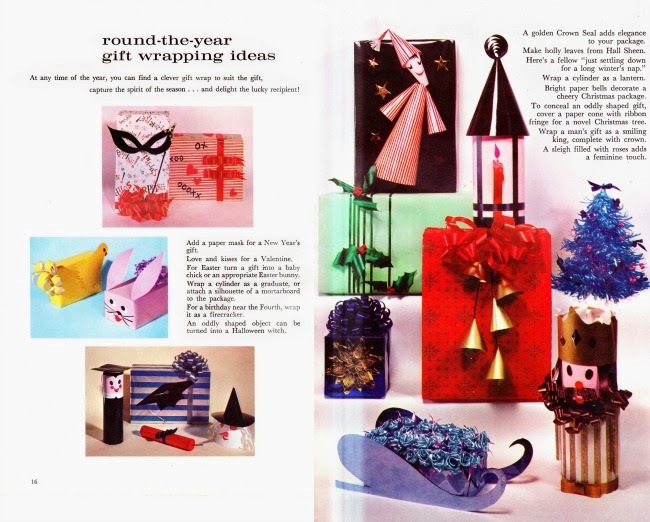 Aside from wrapping your gifts, you can also make some amazing retro holiday centerpieces and decorations from ribbon to use year after year. I hope that you enjoy it as much as I did! This download may not be posted for sale but please do feel free to share it with others! An endlessly huge "yay" for husbands with computer fixing skills! Tony has come to my aid on that front many a time, too. What a charming, super fun little booklet. Thank you very much for sharing this terrific (Christmas) present with all of us, honey! These are great! I love the queen in her crown! TOTALLY gonna do that one.